It is an initiative promoting mobility through the engagement of ambassadors in various local, national and international activities. The first part of the project consists of a multi-level professional digital campaign aimed at raising awareness about mobility. The autumn semester 2014/2015 is the start of events on all levels. 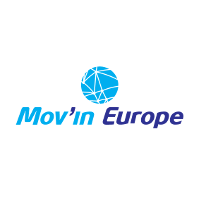 Activities such as mobility days, fairs, linguistic tandems, conferences, promotion of mobility experiences will take place across Europe. The aims of the project are to promote mobility as a lifestyle and to provide better information on mobility opportunities for young people, students and young graduates. "Because of the long exam session, the search for my desired summer job was unsuccessful. My decision was not to waste time, so I went as a volunteer to the sunny Greece. And that was one of the best decisions I have ever made." "Have you ever had a feeling that you would like to do something, but you think it’s somehow not for you? I had it. I somehow knew that Erasmus studies and internship are cool, but I thought it’s for others, not for me." "Admit it, who has not dreamt about going somewhere far away to see different cultures from inside, to be a part of it, to travel, to find new friends and at the same time gain useful experience? Of course, most of us have. 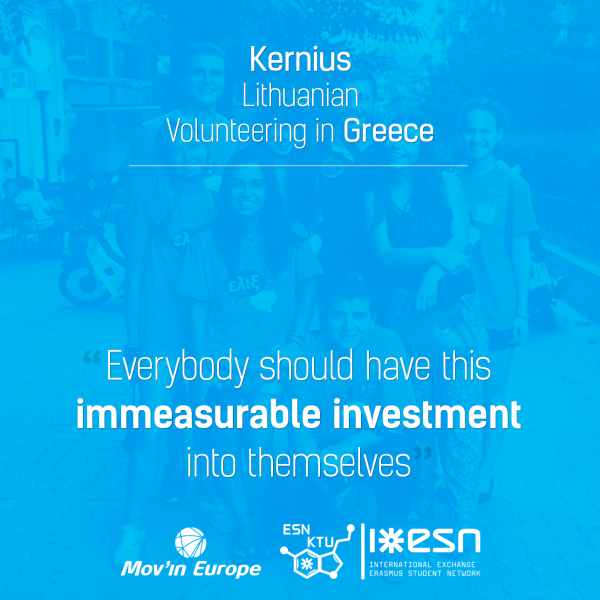 The Erasmus+ programme gives you the best opportunity to fulfil your desire!" "A lot of excuses and doubts follow when you start thinking about spending semester or two abroad. Language tests, a lot of agreements to fill, accommodation to find and a lot of not so pleasant things to do follow the decision to actually do it. How do I know? I went through all of it. And I’d do it again." "People often wonder why I would travel all the way from Sri Lanka to study in Lithuania. I felt that I needed to take a leap, to do something different, to go somewhere new where I won’t know anybody there and face the tough challenges that life has to offer." "Since the very beggining of my studies I was sure that I will go to experience Erasmus+ adventure. When I started to study I knew that I want to try everything and for sure to travel more. So I dealt with my all papers, agreements, passed English test and in autumn of 2014 I went to Porto, Portugal." "To go or not to go... That was the question I had one year ago. Surprisingly, one little push made my life change drastically – realization there are no actual borders in the world, we only create them in our minds." "I believe that the upcoming world will be for the entrepreneurs, and everybody can go this way with hard work and a strong will to lifetime learn and work on your passion." "Was everything so good? Not, I can’t lie, there were some times, when it was really hard but at the same time you learn to understand, love, be more responsible about yourself." "Making a big life change is pretty scary. But life really starts when you go out from your comfort zone. It's not that easy because our brain is a Human System, and like all systems, by definition, it doesn't like to change." "Since childhood I was always dreaming about studying abroad, but I knew it’s nearly impossible; my family couldn’t afford to cover my tuition fee and living expenses. But dreams come true when you want it with all your heart and try to reach them anyway." "Now if you ask me to say in one sentence what did I learnt from my experience… There is always something out there unexplored and it might hold a lot of surprises for you, regardless of its size or popularity or location, so don't be afraid." "I’ve heard things like: going on Erasmus is good for your CV, foreign language skills improvement and so on. But these weren’t the reasons why I went for it. 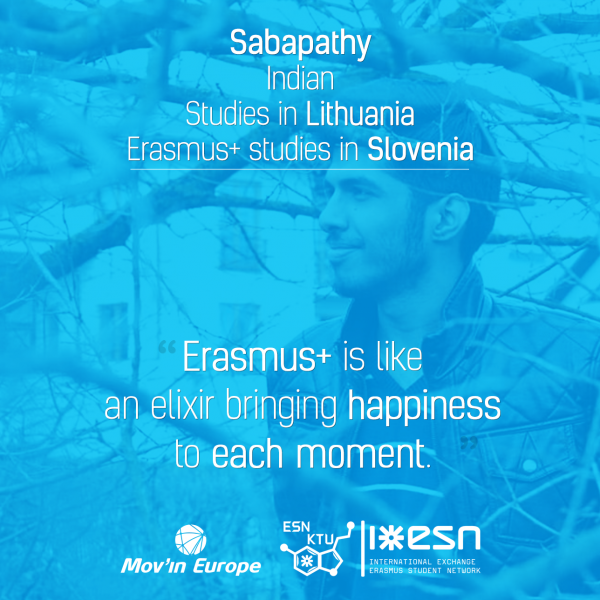 I decided to apply for Erasmus+ because I wanted to challenge myself." “'Go over the seas and look for excellence in your field' said Tamil poet Avviyar in 1st CE. This quote inspired me a lot in my childhood. After finishing my higher studies, that’s when I decided to do my Bachelor’s degree in Lithuania."